Using a touchscreen, we give the user a satisfying and approachable interactive experience. Kiosks are great for trade shows and museum installations. A self guided interactive experience can allow your target audience to learn at their own pace and really understand your brand or concept you want to present. We can create straightforward informational displays or more gamified projects in what ever style fits your brand or environment. Travelling trade show kiosk for SaskPower awareness campaign. 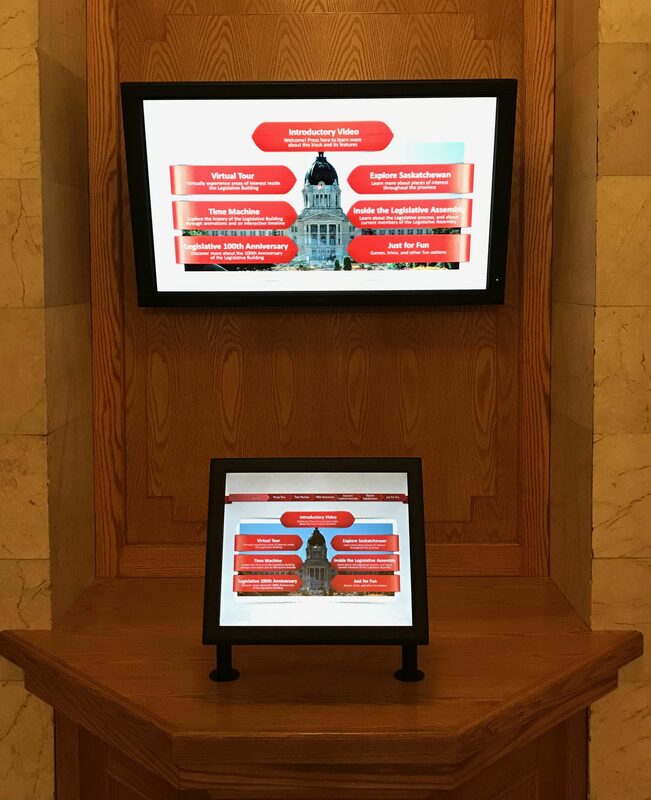 A multi-screen kiosk was created to be installed at the Saskatchewan Legislative Building 100 year anniversary. It told the history of the building in various ways through.